This Winter It's Time to Protect Our Heads! The equipment available won’t always prevent those significant injuries. So why would you wear a helmet? 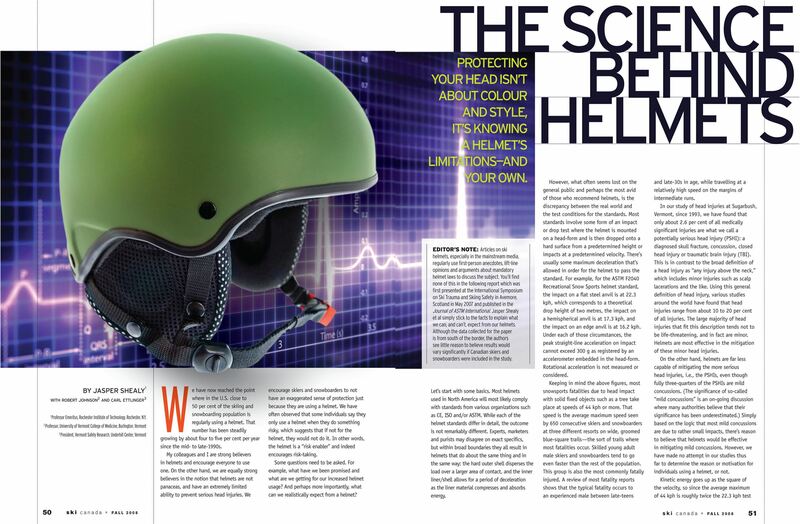 Speeds inherent in skiing and snowboarding can overwhelm the helmet’s degree of protection, but still reduce the force imparted to the head. Helmets are no replacement for good decisions and behavior within one’s skill and ability for the conditions and environment. The bottom line is: Today's ski/snowboard helmets are light, comfortable, inexpensive, and effective. While they won’t protect from every impact, helmets offer an extra degree of protection over and above the safety basics of skiing/riding responsibly for the environment, snow conditions, and your ability.